The Santos Dumont W2009351 from Cartier’s Santos collection has a colorful history and I believe that it is a candidate for an equally colorful future. To begin with, this watch was named after Alberto Santos Dumont (1873-1932) a well-known Brazilian aviator of the early twentieth century. At that time, men typically wore watches on chains which they kept in their vest pockets. Only women wore wristwatches. However, Santos Dumont complained that it was difficult to check the time on a pocket watch while operating a hot-air balloon or flying an “airship”, so he asked Cartier to make him a wristwatch. Cartier came up with the Santos Dumont model which was presented to the aviator in 1904. The bezel on this timepiece is made of pink gold and the crown is set with a scratch-resistant sapphire cover. Like the bezel, this watch is cased in pink gold. Its dimensions are 38.5 x 30.3mm. 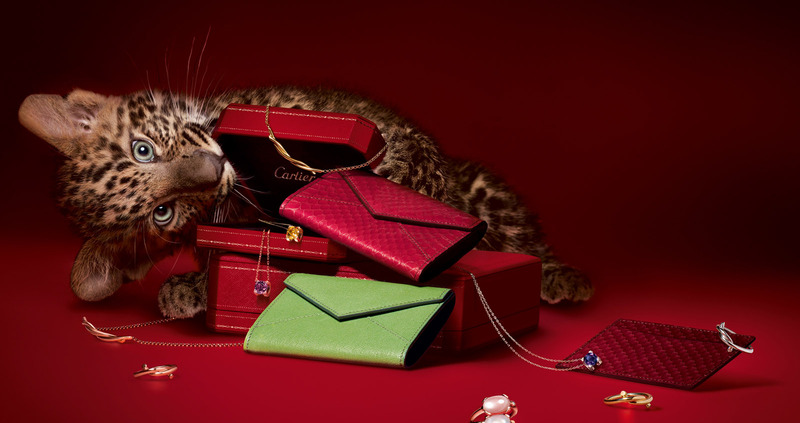 Interestingly, these dimensions now represent some of Cartier’s smaller models. (Like cars, people, and restaurant servings, watches have grown a lot bigger than they used to be.) The watch’s opaline dial is a similar shape to a square after-dinner mint and it displays Roman numerals. The passage of time is marked by black steel hands that are shaped like tiny swords. The black swords show up nicely against the opaline background and apparently Santos Dumont was very pleased with it. Pros: The Santos Dumont is a classic timepiece in that it was one of the first men’s wristwatches to ever be made. Some may be inspired by the fact that Monsieur Santos Dumont checked the time on a watch just like this one while bobbing over Paris in a dirigible. Cons: Even though this watch is water resistant to100 feet it may not be the best buy for people who like to keep their watches on all the time because it needs to be removed for showering. This is because the strap is made of a very high quality alligator skin. However, the good news is that if the watch gets wet it’s not going to get ruined. 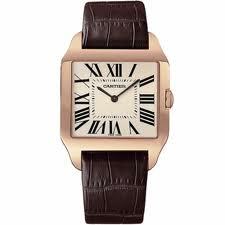 The $11,800 price tag seems a reasonable figure for a Cartier watch, particularly one that has such history behind it. Over one hundred years ago, this model looked rather fine. And these days it looks pretty sharp, too. My guess is that it will still be looking good one hundred years hence.